Buying a house – Villa or Apartment? This is a question that bothers all those who looking to buy a new home, or property. While the answer to this can be driven by a complex set of reasons and desires, it’s good to know a few pointers that can help one make a decision better. Historical preferences: Generally, people who have lived in independent houses or know more people that do so prefer villas, while people who have always lived in distant suburbs or farmhouses, with fewer neighbors, prefer the community culture of apartments. Lifestyle aspirations: Villas stand for exclusivity and standing out, as well as the opportunity to live it up, whereas apartments are all about conveniences and hassle-free living. Where one is in their career, or age profile – will decide which of these lifestyles they prefer. Family Type and Size: While larger families with two or more generations living together require the extra spaces available in a villa, while smaller and nuclear families will find an apartment adequate and cost-effective. Transit and Proximity: Generally, apartments require lesser acreage and are found closer to commercial districts, while villas require more space and are farther off. If one’s priority is to stay close to the workplace, one is more likely to find a suitable apartment than villa for this. Age and disability: Families with elders or those with disabilities will find the compact spaces of apartments more convenient. Whereas, the wide open spaces of a villa project can create hassles especially during an emergency. Noise and Privacy: Large families, families with two or more children, elders with low tolerance for noise, and young couples who desire more privacy will find the space between two villas convenient. Whereas, families that enjoy a community lifestyle may find a villa environment cool and aloof. Safety & Security: Working couples who follow different work timings, or where one of the partner is constantly traveling will find apartments safer and less risky. While large families or those who do not enjoy too much scrutiny will find a villa lifestyle heartening. Amenities & Conveniences: In addition to the mandatory supermarket, gym and swimming pool, it’s quite common to see one or two crèches in most large apartment projects in Indian cities. This makes it convenient for working couples with a child. 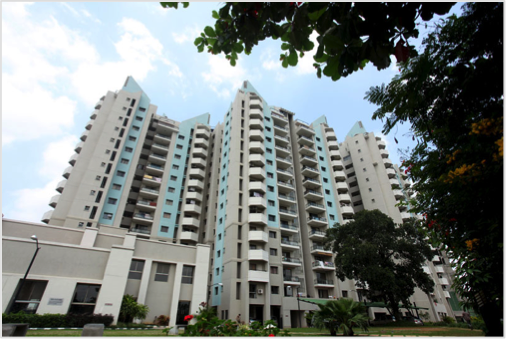 Upgrade & Maintenance costs: Apartments are synonymous with economy of scale. Upgrade costs and maintenance costs are distributed amongst various houses which helps keep it small. It’s also easier to find volunteers who can manage the residents association and facilities, in apartments. While both of these factors are a challenge in villa projects. Investment or Residency: Is one buying the property for living there or, merely as an investment? In case of the latter, one should know that because of their affordability, it’s easier to sell apartments quickly, while this is not always true of a villa. These are some of the major factors that can influence one’s decision. End of the day, neither option is just perfect for anybody. Choose wisely and there will be fewer compromises and more benefits.